Book, "Shrink! Shrank! Shrunk! 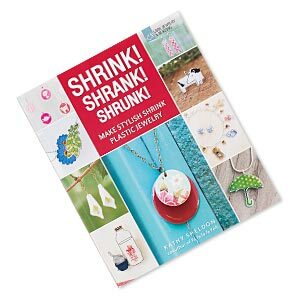 Make Stylish Shrink Plastic Jewelry" by Kathy Sheldon. Sold individually. 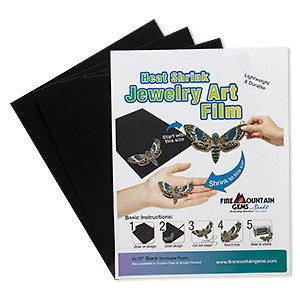 Jewelry art film, shrinkable plastic, black, 10x8-inch rectangle. Sold per pkg of 4. 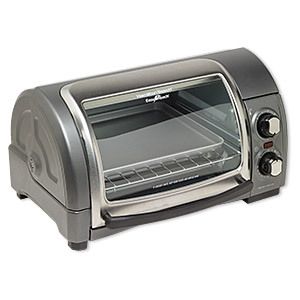 Toaster oven, Hamilton Beach® Easy Reach, plastic / stainless steel / tempered glass, black, 120V/1200W, 15-3/4 x 8-3/4 x 12 inches. Sold individually.